It’s the truth. One small, lightweight bottle of Extreme 18X will wash 96 average HE loads (48 average standard machine loads) – or more – with no need for fabric softeners or dryer sheets either. I have fallen in love with these products. It is an amazing eco-friendly, organic and economical product.Extreme 18X may also be diluted for use as a variety of household cleaners. (It’s fabulous for glass.) It may also be used to safely clean fruits and vegetables. You will find it very gentle – even nourishing – for your skin and hair. Forget those rubber gloves! Soap nuts have actually been used for thousands of years for hair and skin care. So, stop lugging around those heavy, messy jugs. Stop filling up the recycling bin with unwanted plastics. Take a giant leap in reducing the carbon footprint caused by manufacturing and transporting many chemical products that plague our world. And why ship all that water? There’s no need anymore. Save some money, too! 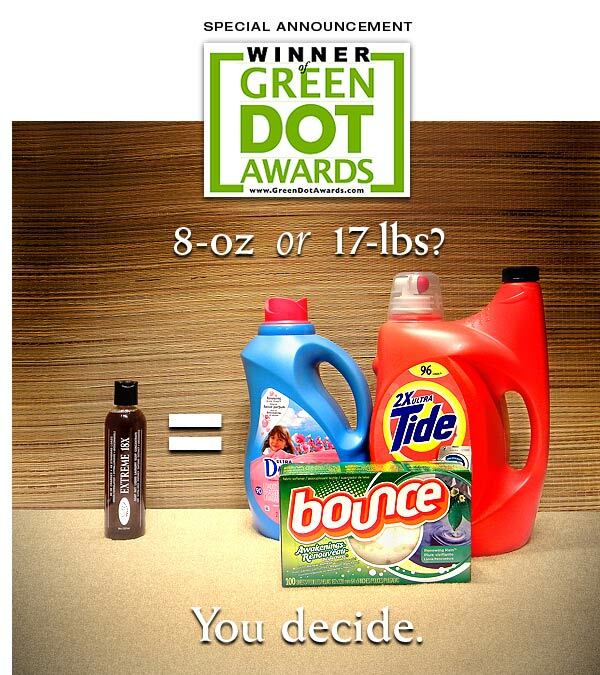 Just calculate your actual cost per load from typical detergents and additives (especially the so-called “greener” ones). Compare for yourself. You’ll be surprised. Next Next post: Quail Eggs for you and your Cutie too!